Anyways, welcome to my blog! My name is Regina and I’m 31. I come from the South of Italy, from the beautiful region of Apulia and I grew up between Perpignan (South of France), Australia and Paris. I’m passionate about fashion and new technologies. After a Master in Digital Communication at Parisian Business School INSEEC, I worked at advertising agencies and in digital communication at a global leader in optical retail. I then quit that comfy situation to start up my first entrepreneurial adventure: the creation in 2015 of a wishlists website, Whataboon.com. The website is at the crossroads of Pinterest and Leetchi and has been entirely designed to solve the famous problem: “What present should we give Juliet for Christmas / her birthday / her wedding / her leaving party?”…and also to receive the gifts that we really love ♡.That way, everybody is happy, the giver and the one who receives the present. That passion I have for new technologies has always driven me to imagine and create services that can make the day-to-day life easier. While solving the problem of gift offering with Whataboon, I have started to share my love for fashion on Instagram at the beginning of 2017. 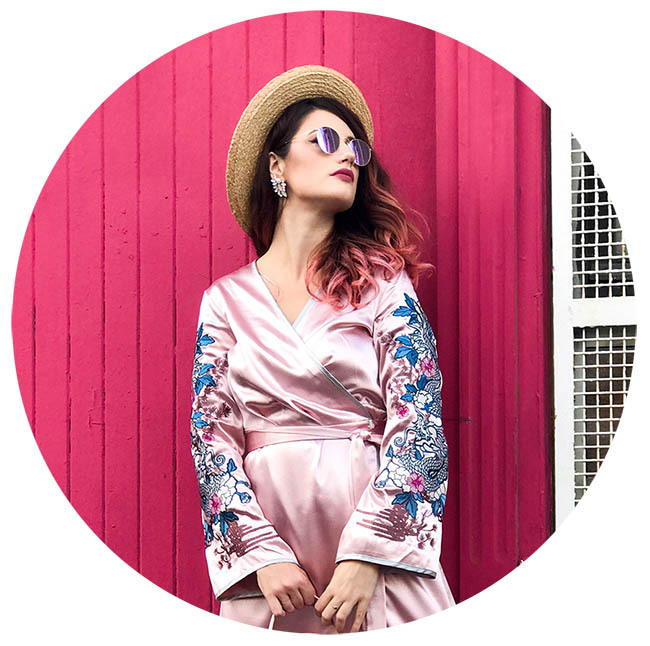 Little by little, I have come to think it would be nice to have a little “blog” where I could share with you, as simply as it gets, all the direct links to the products that appear in my colorful outfits. Meanwhile, I have presented a new entrepreneurial project during a trip to Reunion Island. One thing leading to another, here I am, spending a few months between Paris and Reunion Island (Indian Ocean) to develop that new app I can’t wait to tell you about. Well, I would say it’s the perfect opportunity for me to let you discover – or rediscover – the cultural wealth and beautiful landscapes of that intense island.